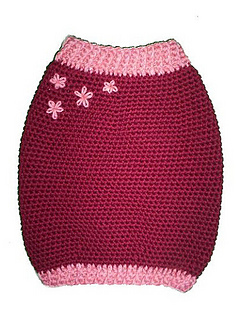 This pattern is for crocheted, pull-on diaper soaker sacks. These sacks make nighttime changing easier while your baby is a newborn. Instead of needing to pull a soaker down or deal with fastening wraps, you simply lift the sack up from the bottom, change baby’s diaper, then pull it back down over baby’s legs – keeping baby warm and the bed dry. The sizes include preemie and nb/small. It is crocheted in the round with worsted weight, 100 percent wool yarn and features ribbing for the waistband, at the bottom, and an optional drawstring waist and bottom.